Keeping password safe is very important. Be it your email account password or online banking account password – one cannot afford to forget a password or lose it to a hacker. We have already seen ways to make a strong password and online tools to check password strength. So, after you have created a strong password, it is very important to keep all your passwords in a secure format. Besides being secure, following free utilities can save you lot of time in managing multiple passwords. 1. PassKeeper – It is a small Windows utility that allows you to keep a list of accounts with usernames, passwords, and notes. This list is stored encrypted form. You can use PassKeeper to safely keep any kind of record. 4. 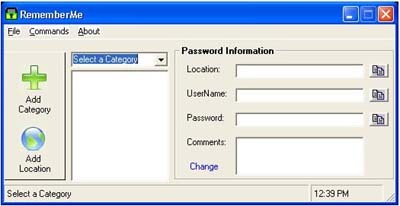 PasswordMaker – FirFox browser has in built option of storing passwords. However, this is not secure as anyone with access to your system can steal your login information held by FireFox. 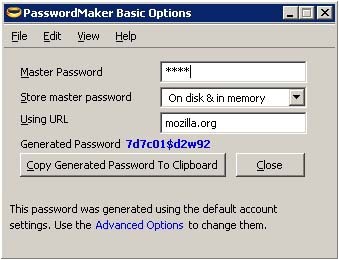 PasswordMaker is a FireFox plugin that makes master password and complements with Firefox feature to store password. 5. 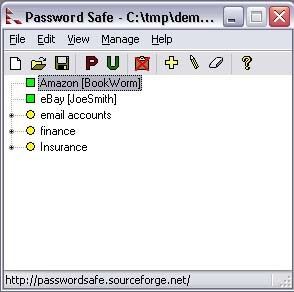 RememberMe – It is a free password manager that stores your passwords securely. It uses 128-bit AES encryption along with your personal profile information to ensure you are the only user that can access your passwords. 6. 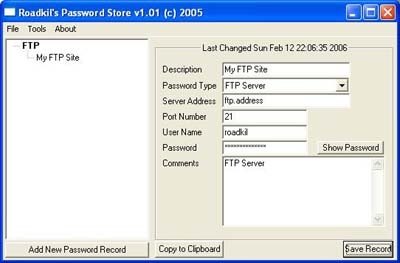 RoadKil’s Password Store – It allows you to save all your passwords to a file so you dont forget them. The password file itself is encrypted so unless you know the master password its very hard to get into. Above options invlove installing a free software and using it to store your passwords. In case you want to store passwords online – besides using your email Inbox you can use online web service like Clipperz. Keep your password safe in any way you feel comfortable!